Courtesy of the National Archives. 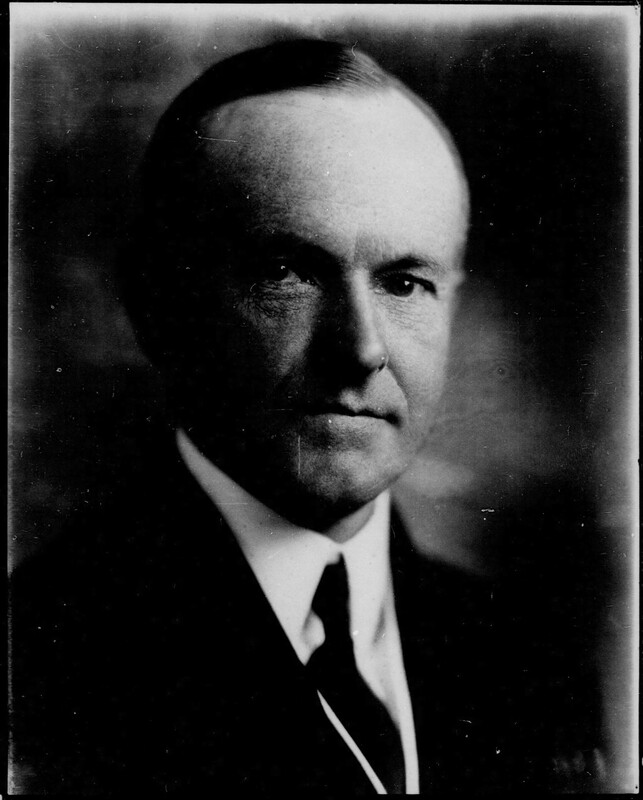 As Lieutenant Governor of Massachusetts, Calvin Coolidge addressed the Brockton Chamber of Commerce on this day ninety-nine years ago. In this message he articulates that the harsh criticism of our system and our institutions has always been the easy, simplistic course but when the “commercial age,” in which we now live these past hundred years, is properly assessed for value we discover it is all in pursuit of something far more important than material gain or physical possessions. It is in search for something more that develops character, the quality of the soul not merely the quantity of goods produced. Humanity is more than material. Inside there resides a spirit, an intellect, a yearning to dream, aspirations that cannot be quantified or satisfied by furnishing every physical need we could ever have. This is why centralized government always fails, by reducing mankind to only so many properties of matter that can be bestowed contentment and security in exchange for choice and independence, the spiritual craves for something more, a value intangible. Centralization dehumanizes man. 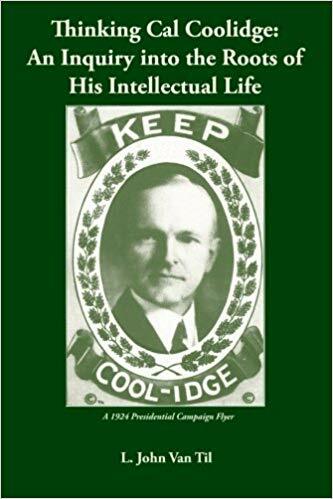 Coolidge saw this and resisted it. He still speaks even now. “It is only a figure of poetry that ‘wealth accumulates and men decay.’ Where wealth has accumulated, there the arts and sciences have flourished, there education has been diffused, and of contemplation liberty has been born. The progress of man has been measured by his commercial prosperity. I believe that these considerations are sufficient to justify our business enterprise and activity, but there are still deeper reasons…What then, of the prevalent criticism? Men have mistaken the means for the end. It is not enough for the individual or the nation to acquire riches. Money will not purchase character or good government. We are under the injunction to ‘replenish the earth and subdue it,’ not so much because of the help a new earth will be to us, as because by that process man is to find himself and thereby realize his highest destiny. Men must work for more than wages, factories must turn out more than merchandise, or there is naught but black despair ahead. “If material rewards be the only measure of success, there is no hope of a peaceful solution of our social questions, for they will never be large enough to satisfy. But such is not the case. Men struggle for material success because that is the path, the process, to the development of character. We ought to demand economic justice, but most of all because it is justice. We must forever realize that material rewards are limited and in a sense they are only incidental, but the development of character is unlimited and the only essential. The measure of success is not the quantity of merchandise, but the quality of manhood which is produced. “These, then, are the justifying conceptions of the spirit of our age; that commerce is the foundation of human progress and prosperity and the great artisan of human character. Let us dismiss the general indictment that has all too long hung over business enterprise. While we continue to condemn, unsparingly, selfishness and greed and all trafficking in the natural rights of man, let us not forget to respect thrift and industry and enterprise. Let us look to the service rather than to the reward. 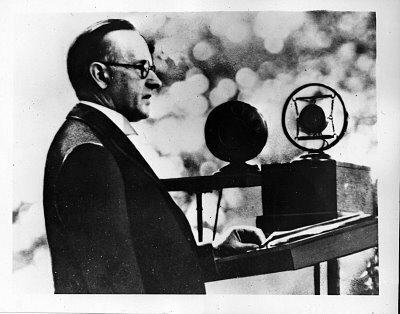 Then shall we see in our industrial army, from the most exalted captain to the humblest soldier in the ranks, a purpose worthy to minister to the highest needs of man and to fulfill the hope of a fairer day” (excerpts from “Have Faith in Massachusetts,” 1919, pp.15-20).